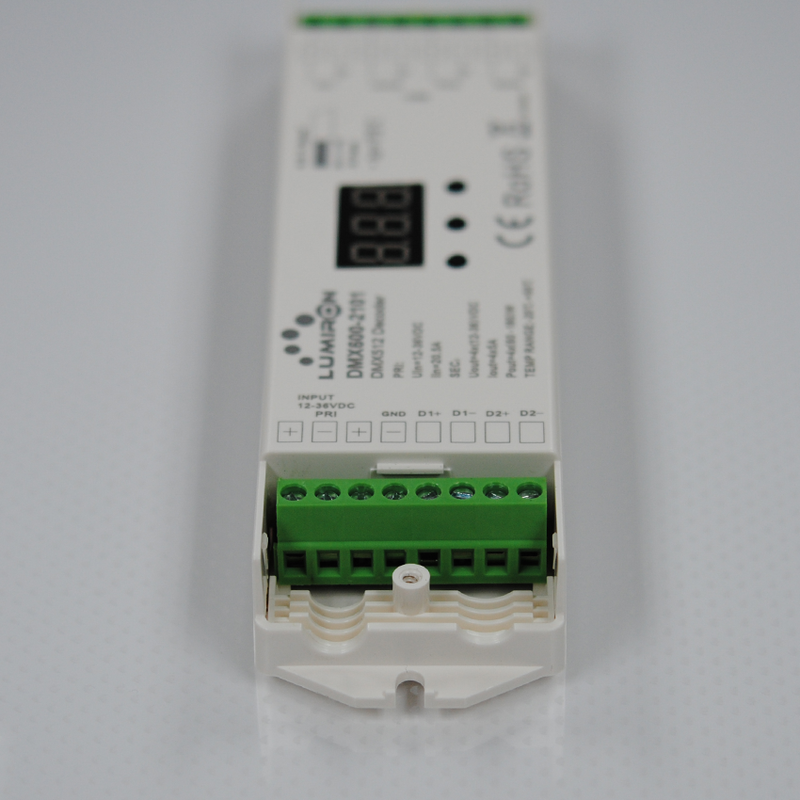 Lumiron´s DMX 600 RGBW 4 ZONES LED CONTROLLER is a new standard DMX to RGB-W 4 Channel DMX Interface. 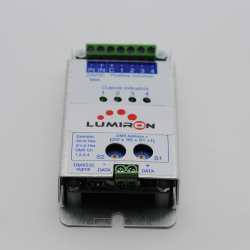 If you currently have a DMX512 controller or any DMX capable control unit, and you need to control RGB products, like RGB Lumirtapes, RGB lamps etc. 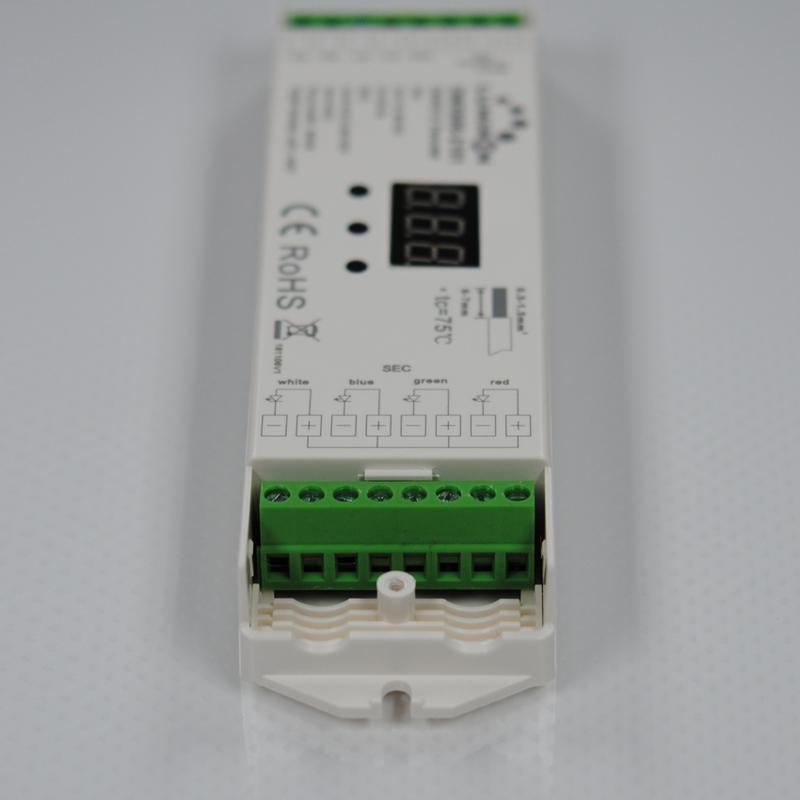 This is the perfect solution to convert DMX signals to RGB. 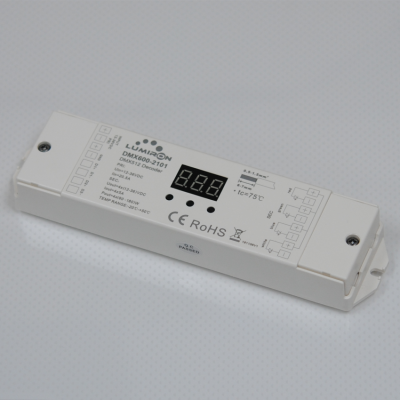 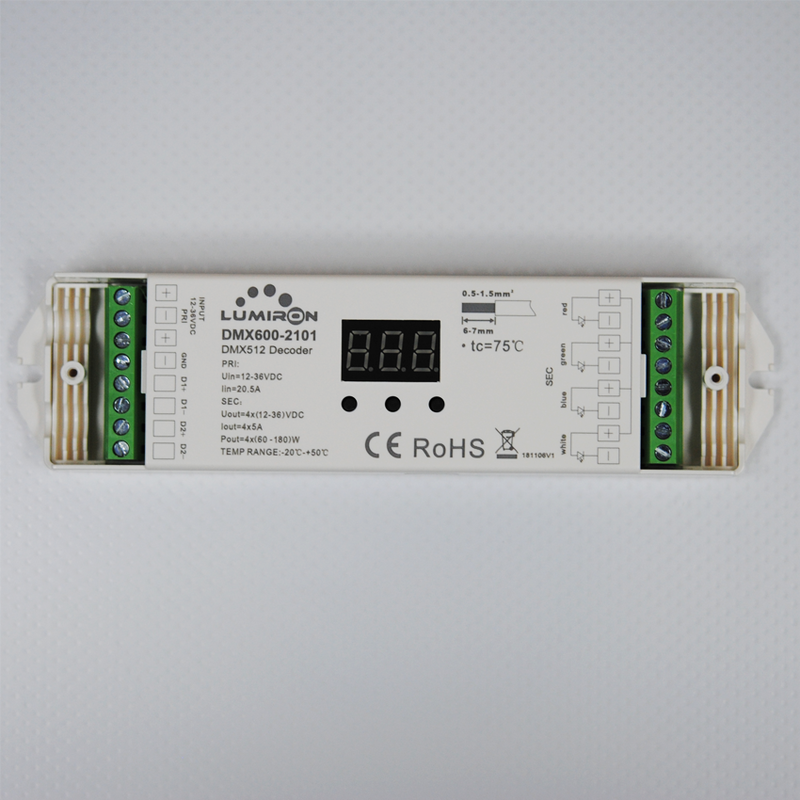 This second generation receiver/controller has a digital read-out and allows users to use as a stand-alone controller for controlling RGB LED lighting fixtures. 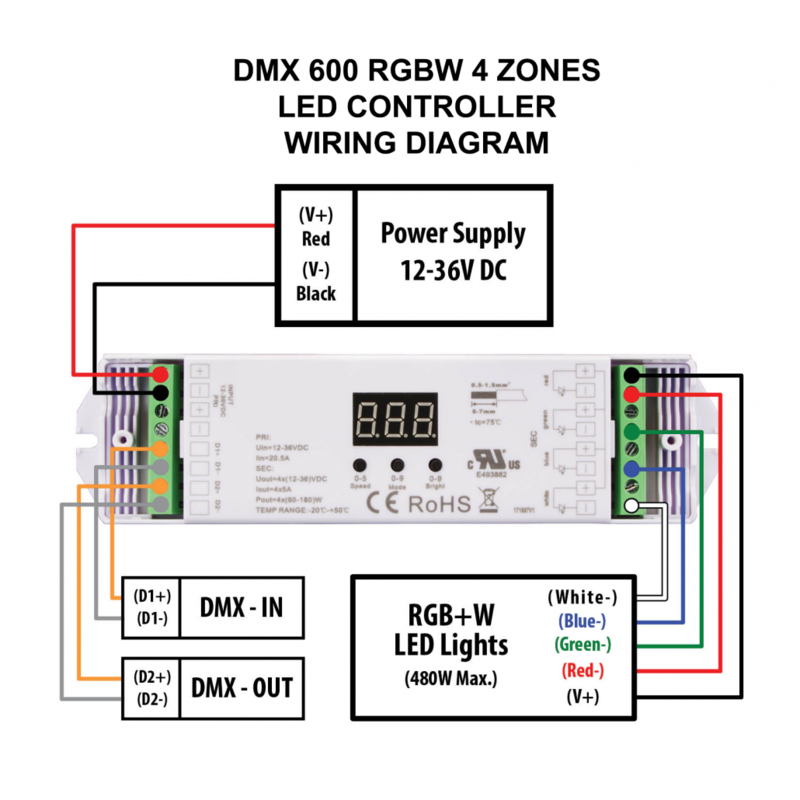 The DMX 600 RGBW 4 ZONES LED CONTROLLER works also as an RGB controller when no DMX signal is present. 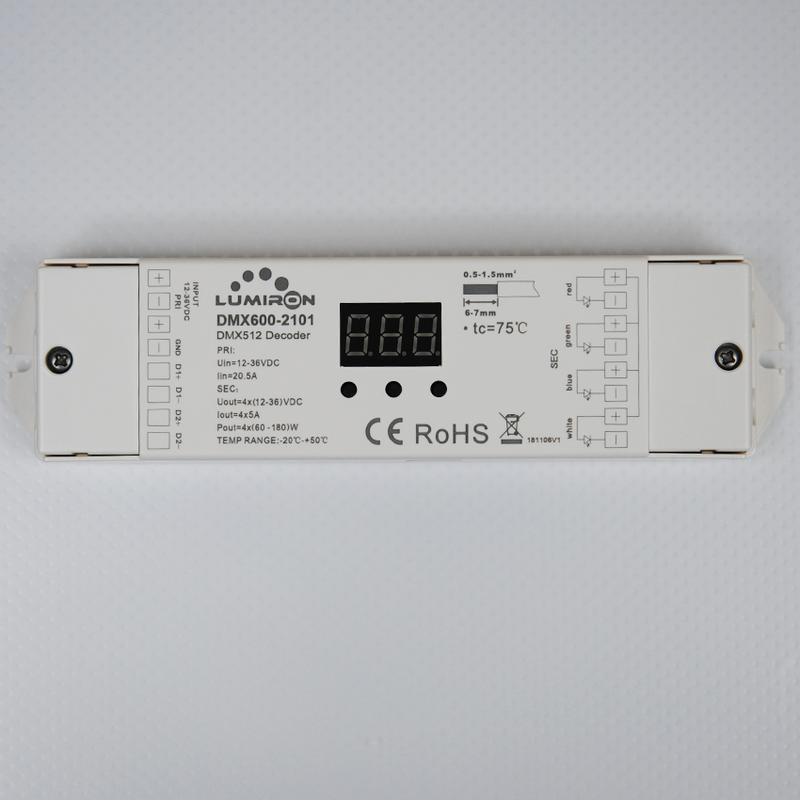 It includes 10 Different LED Color Changing programs when using it in standalone mode. 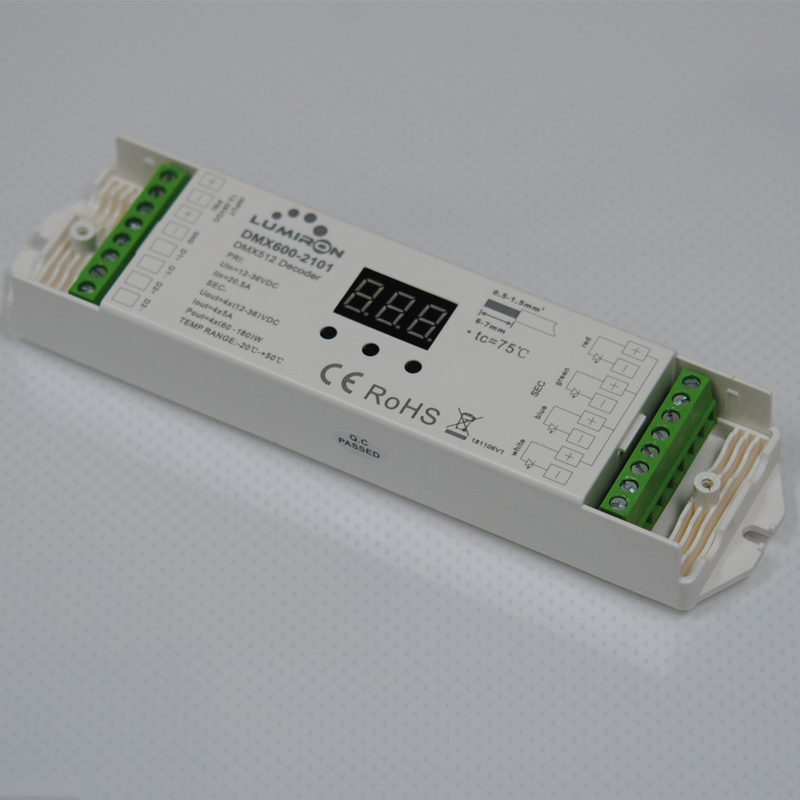 It is UL Listed ensuring the safety and durability for the lifetime of the receiver.